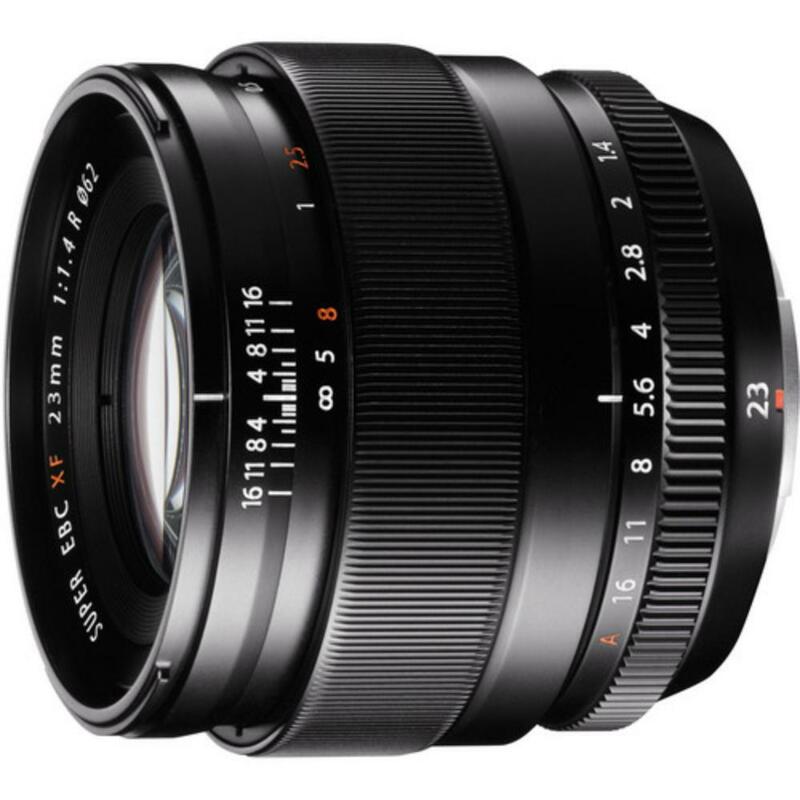 The Fuji XF 23mm f/1.4 R Lens produces evenly-distributed light from the center to the edge of the frame and it retains excellent contrast and high resolution with little fall-off or distortion toward the edges. Its fast f/1.4 aperture means it can be used well in low light and for creating very shallow depth-of-field. There are engraved camera-to-subject and depth-of-field scales for manual focusing on the barrel that help with setting the hyperfocal distance and pre-focusing techniques. A high-torque coreless motor is designed for quick and quiet autofocusing. This lens is a great everyday shooting lens and ideal for street photography, travel, wider portraits, night photography, and landscape. • Minimum Focus Distance: 11.02"